When you think about it, how much time do you spend with your phone over face-to face contact with other people such as family or friends? Is this a problem that we face or is it merely part of our progression in the 21st century as a technologically advanced race. There are many sides to this argument both for and against. Let me explain further…. I was thinking about this subject the other day over the Bank Holiday weekend. On Sunday I had a day off from work at home with my wife and two kids. We usually have a very busy weekend with lots of kids activities taking place so when the school holidays come around and activities take a break for a while, the idea of a completely free day is almost unheard of. So it was, on Sunday I had absolutely nothing planned other than to spend some time with my family. Luckily I live near a big park so if the weather is nice, which it was, we can usually spend some time there. The day started waking up at a reasonable time and not with the first birdsong at stupid o’clock! As it was Sunday and we had nothing planned we lay in bed for a bit and then got up to have breakfast. As we all sat around the table, instead of really having a proper chat with my kids and finding amazing ways that we could fill our day (after all we had nothing to do, but the possibility to do everything), I found myself looking at my phone. It was the last day of the football season and there was the Monaco F1 Grand Prix on that day as well. I simply had to find out all the latest news…or did I? I probably ended up checking some emails and Facebook at the same time. You know how you do the whole round of apps when you do the phone check! Looking back, I definitely could have checked that information at another point in the day or just simply not checked it at all and spent the time really interacting with my kids. After all, anyone with kids will agree that at some point we will all have a moan that we don’t get enough time to spend with our kids in the way we want to. Not to say that I completely ignored my kids and my wife, although I have used that tactic before with my wife, but I guess I was a bit distracted and they didn’t have my full attention. A little bit later in the day, after having already gone to the park to play and having to drag the kids away from the ice-cream van after some whingeing and whining, my son asked if he could go back to the park to take a dip in the paddling pool. I played with him for a while, chased him around and splashed him a bit, then went and sat down at the side while he continued to play. The phone came out again and I checked the latest scores and F1 news again. Did I need to be checking my phone at that point or was I just filling time? After his lips started to go blue, we decided that we should leave the paddling pool and play in the playground. It was great…we played hide and seek, and then I filmed him swinging on the monkey bars (with my phone!) He then started to climb on the climbing frame with some other kids. As he was climbing, I found myself reaching into my pocket again and checking the latest updates and generally just fiddling with my phone. I was ready to go home and I wasn’t really paying that much attention again. I’m sure he wanted me to watch him pretend to be Spider-man! You must have seen it in café’s and even in restaurants when a couple is sitting at a table and they are both deeply engrossed into their phones. Surely there must be a reason why they are both sat at the table next to each other. You would think that they would want to catch up with how things are going in their lives but the attraction of the phone takes over the attraction to each other. Maybe they are both working on a project that is making them millions or they are busy formulating the next big energy-saving fuel. Or maybe they are both checking how many likes they got on Facebook for their ice bucket challenge. The fact is we will never know but I think we lose sight sometimes of what’s really in front of us and the beauty of face to face interaction. Another example is when you go out to a live music performance and it seems like the whole crowd have their phones out recording the event. The attraction of taking home some evidence of the performance is so great these days that they often experience the event looking through their 6″ screen, making sure that they are getting a good shot. Obviously this is to share with other people maybe through YouTube or via another sharing method. I get the fact that people want to share their experience but you have to question what experience they are getting themselves whilst concentrating on their phone screen. Do mobile phones add to or distract from a performance? Surely the whole point of paying money to see someone live is to experience fully the event and not with the distraction of a mobile phone. 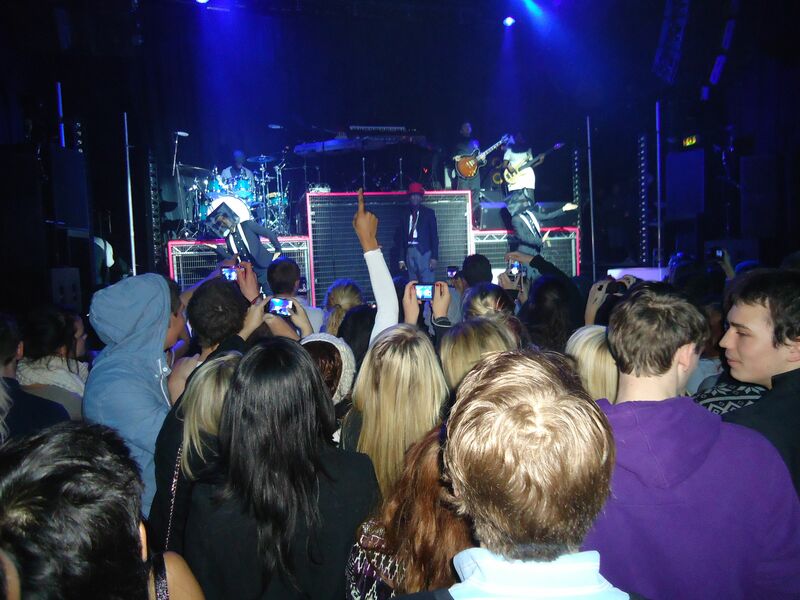 If you’re still not convinced, imagine if you went to a live gig and the venue banned mobile phones from being used. No one would be texting their friends to rub it in that they were there, no one would be tagging themselves in pictures and no one would be filming the show. All of the crowd’s attention would be on the gig itself and their reactions and emotions would be fully focused on the performers. Imagine the buzz in the venue building up anticipation to the event, maybe you would even have to talk to someone about your excitement! Then imagine as the gig started, 100% of the crowd would be fully involved in the performance. It would most definitely be a different kind of atmosphere. The flip side to this is also quite extensive….using a phone brings massive publicity to an event, you can communicate your experience to the world, you can make you’re friends jealous, the list goes on but again, are we losing the magic of the moment itself? Would the experience be even greater if everyone was fully focused on the performance in that very moment and not how it might look on their phone the day after? Another example and one I’m sure that we are all busy doing is using our phones on public transport. I know that it helps to pass the time, believe me I do it a lot, I have even written some of my blog material on the tube. So there is sometimes a lot of good that can come from it. But sometimes it just becomes a habit as a way of passing time. I have been guilty of flicking from one app to the next in the hope that something will relieve me from my boredom and awkwardness in just staring at someone else or staring at the floor. 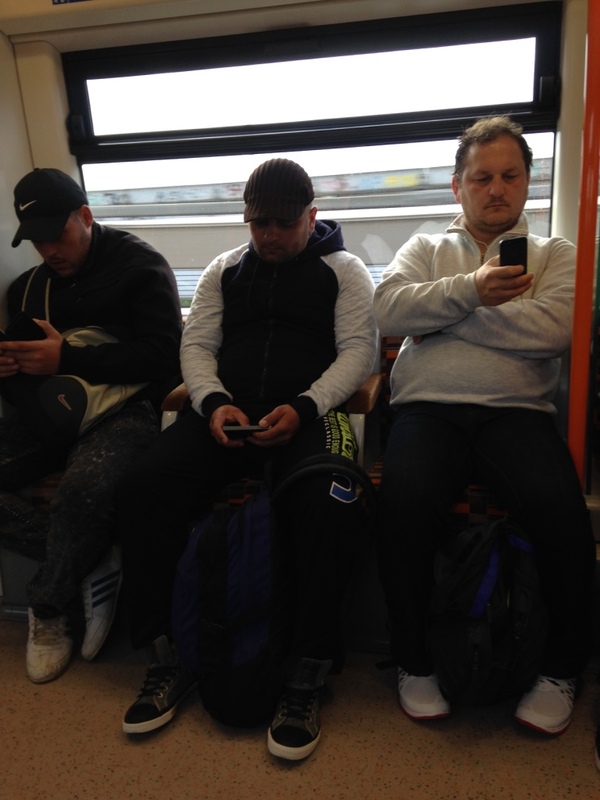 Imagine though, that bringing your phone out was not always a natural reaction to taking a seat on a bus or train. Imagine that you maybe (wait for it…) you talked to someone or drew a picture or something. I know the thought of someone randomly talking to someone else on public transport scares people and you might come across as a bit of a loon but then just also imagine the possibilities of talking to someone who could maybe change your life. You just never know. We can easily get wrapped up in this relationship we have with our phones and forget about real life relationships. Have you ever had to call someone but you would much rather text them than speak to them on the phone as it is just much easier? Maybe because it’s less personal and it seems a bit daunting to speak to them makes us decide to text instead. Yet this phone call is important and maybe we need an answer right away. Why do we still text them? Maybe they might take the message in the wrong way. I think it’s always better to get as close to the real thing (talking face to face) as we can so if that’s not possible then a phone call is always much better. Have you ever been sat at home with your partner, supposedly watching TV while you both have your phones out scouring the web? What’s going on there? You could be talking to each other or better still, spending some quality time together if you catch my drift. My thoughts are, that a first hand, live, in-the-moment experience is always a much more beneficial, enjoyable and simply real one than anything you can get from interacting online. I guess what I am trying to say is that although our mobile phones have opened up endless possibilities to us in the way that we communicate and the work that we can do, they also sometimes take away from the real contact that we have with people and sometimes that balance is not correct. If you find that you are spending more time looking at your phone than with some of your close family and friends then something is not quite right. If you can classify the time you spend with your phone as a sort of relationship then again, the balance is not right. Maybe take a minute to think if you could enjoy an event that much more if you weren’t distracted by your phone. I accept that the mobile/digital age is the way forward but we also need to remember to keep sight of what is REAL! Lastly, if you are reading this blog, then of course, I am very happy, however if you are reading this blog at the breakfast table with your kids or you are sitting in a romantic restaurant with your partner then maybe just bookmark it for later and enjoy the moment!